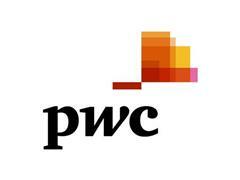 PwC press room: Rise of the robots – good news or bad for business and society? Rise of the robots – good news or bad for business and society? London, 18 Oct 2016 ‑ In 2005 there were less than one million of them. Today there are 1.8 million. And in three years’ time, this will soar to around 2.6 million. Industrial robots are on the march. Technology already plays a major role in the manufacturing sector. But as robots become better and more sophisticated, PwC economists expect their impact to gradually permeate more industries – including the services sector, which accounts for most jobs in industrialised economies. Business leaders are already taking note of these changes and are factoring it into their corporate strategy. Our 2016 global CEO survey shows that 77% of CEOs think that technological progress is the megatrend most likely to transform how businesses interact with their stakeholders. Technology can lower costs and increase efficiency. For example, robotics can help businesses make better use of their existing capital stock and increase margins. This in turn could create further demand for traditional forms of investment, such as warehouses and machinery. The price of goods and services could also drop – or increase more slowly – if businesses pass on these productivity gains to consumers through lower prices, which they should do so long as markets are competitive. In other areas, however, automation may represent more of a threat to jobs – though the scale of this threat varies from a Frey and Osborne (2013) estimate that around 47% of current jobs are at risk in the US over the next two decades, to an OECD study that places the figure at only 9%. Digital technologies also create new jobs, so the effect is by no means all negative. “Technological breakthroughs are a disrupting force for businesses and workers. But for those businesses that can adapt fastest to new technologies, and for workers with characteristics that machines don’t currently have - such as creativity and empathy – improvements in technology could deliver substantial gains,” adds Barret Kupelian. Are households feeling the benefits of economic recovery? PwC economists this month have also taken a look at household spending per person in the G7 as a measure of recovery since the global economic crisis. And they have found that the recovery in real household spending per person has not kept pace with that of real GDP in the majority of the 12 advanced economies considered. For more details, please see this month’s Global Economy Watch at www.pwc.com/GEW.